Hi everyone! :) Today I decided to a quick comparison post with a few polish I have in my collection that were some what similar to each other. I don't own A England She Walks In Beauty, so I couldn't add that to the comparison. I think from the photos I have seen Sephora X Ice Princess and A England She Walks In Beauty would be pretty close, if not 100%, dupes for each other though. Sephora X Ice Princess has a base of micro green-gold glitter and medium and larger rose colored hex glitters. 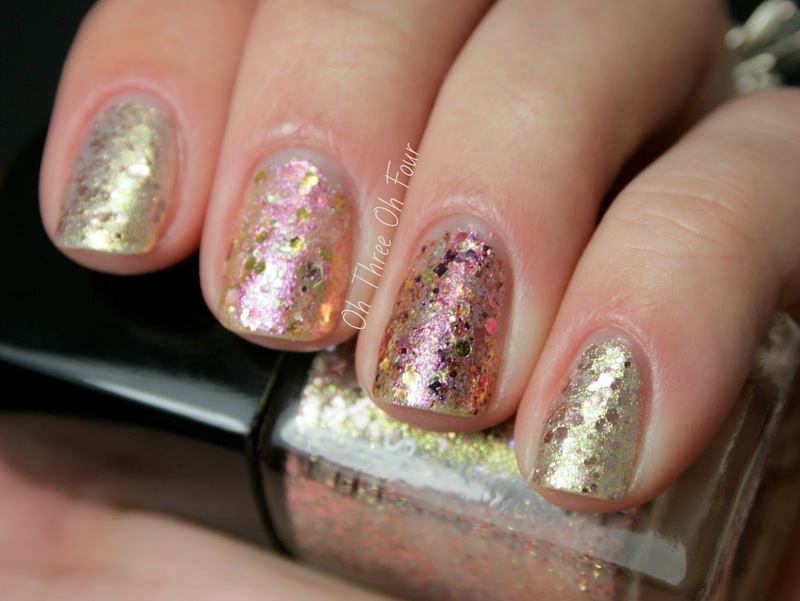 Rainbow Honey A Little Kindness is described as a rose, white, gold, and soft green glitters that float in a delicate and sheer yellow base with an iridescent pink shimmer. I previously posted about this polish here. 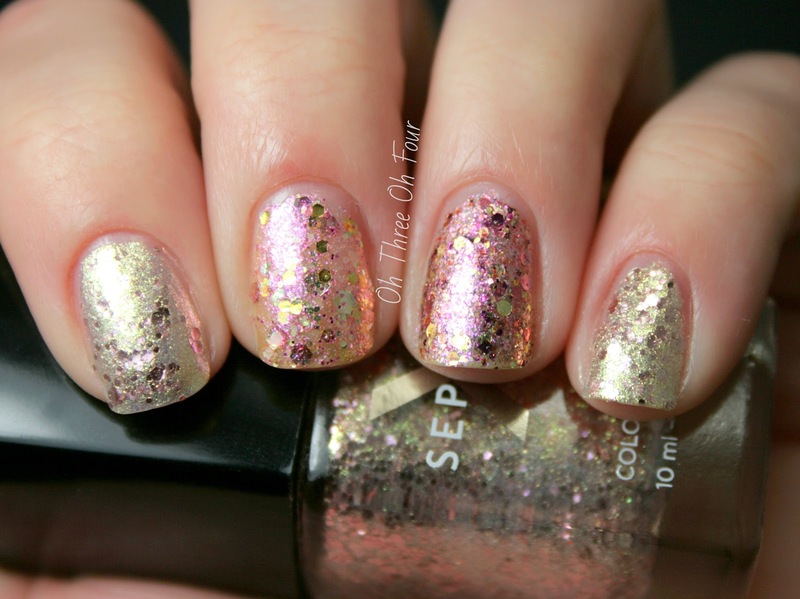 Jindie Nails Pretty Penny is pink and gold round glitters with wine, bronze and gold glitter and gold shimmer. My previous post about Pretty Penny can be found here. My index and pinky nails are 3 coats of Ice Princess, my middle nail 3 coats of A Little Kindness and my ring nail is 3 coats of Pretty Penny. All have a top coat of Seche Vite. Ice Princess clearly is the odd man out in compared to A Little Kindness and Pretty Penny. A Little Kindness and Pretty Penny are close to each other but not 100% dupes. The shimmer in Pretty Penny is lighter and it has a difference of glitter colors and shapes than A Little Kindness. I would say if you have either A Little Kindness or Pretty Penny you wouldn't need the other, unless the difference in glitter is important to you. 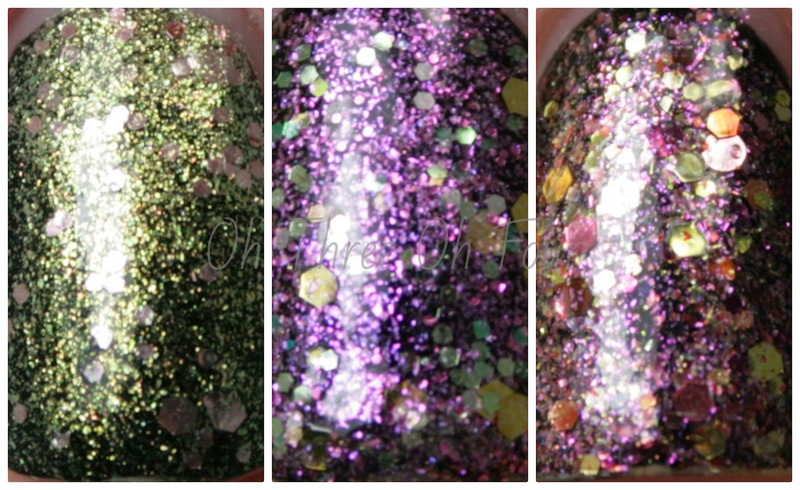 1 coat of each polish in the same order listed as above over Wet n Wild Ebony Hates Chris and a top coat of Seche Vite. Sephora X can be purchased online through Sephora here and can be found in stores at select Sephoras carrying the "X" line. 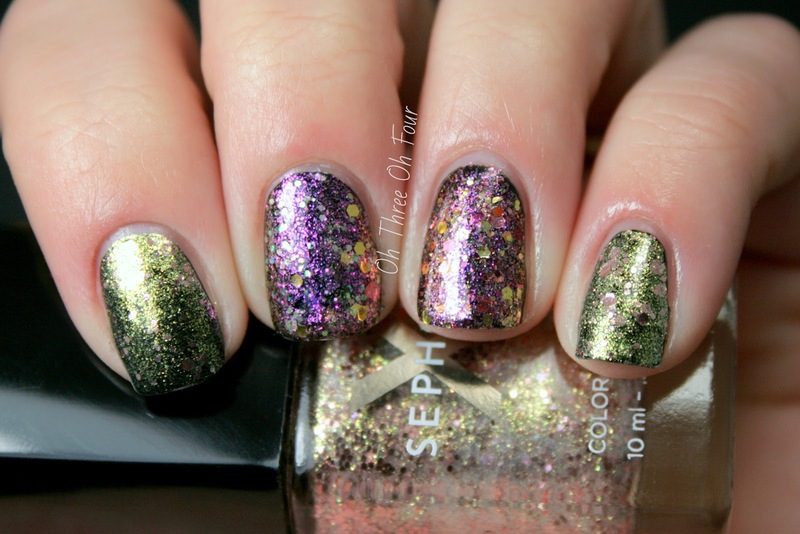 Find Sephora on Facebook here and Twitter here. 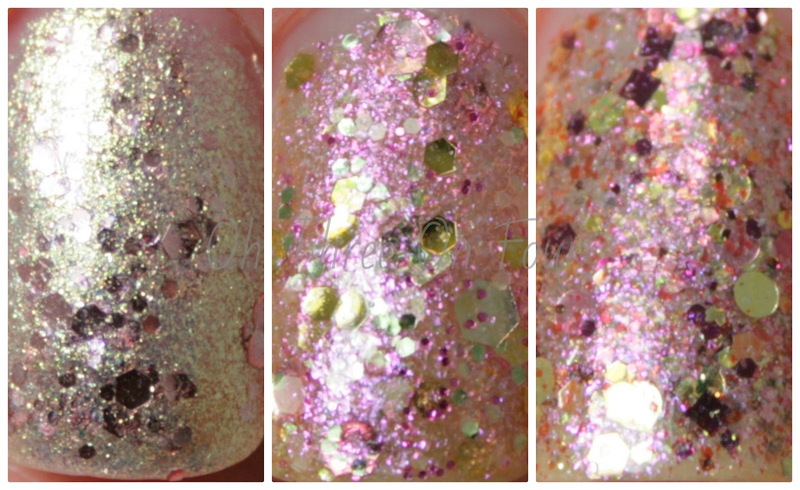 Purchase Rainbow Honey polishes on their online store here. Follow Rainbow Honey on Facebook here and Twitter here. Jindie Nails can be purchased through Etsy here, which is currently closed, and Mei Mei's Signatures here. Make sure to follow Jindie Nails on Facebook here and Instagram here for shop updates.